Car accidents happen in the blink of an eye but can have lasting consequences for those involved. If you were the victim of a negligent driver, you could be left with many questions and concerns. Who will pay for my medical bills and vehicle damage? Is the insurance company offering me a fair settlement? How does the legal process work? Luckily, our Amarillo car accident lawyers are here to answer these questions and more. To get a free a consultation, call (800) 863-5312 today. Our auto accident lawyers can help you understand your legal rights and options after a car accident. Our attorneys will investigate the accident, help determine the value of your case, and seek compensation for the injuries and financial setbacks you have suffered. Our Amarillo auto accident attorneys will fight for your rights and can help you negotiate with the insurance companies. Our Amarillo car accident lawyers also operate on a contingency fee basis. This means if we don't win your case, you won't pay us a dime. 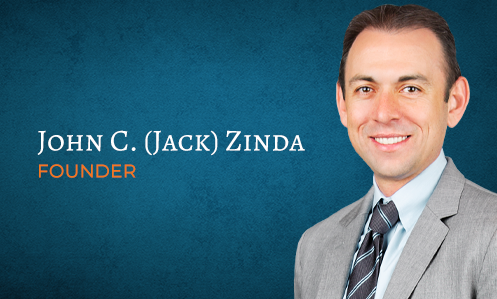 As a client of Zinda Law Group, you can focus on healing and leave all the legal work to us. No matter the circumstances regarding your car accident, our attorneys want to help. Don't take on the negligent party alone, get an Amarillo car accident lawyer from Zinda Law Group to fight in your corner. Car accidents can leave a victim with many damages, both financial and non-financial. In addition to sustaining physical injuries, car accident victims often must deal with emotional pain and suffering, lost wages, costly medical bills, vehicle damage, and more. If someone else may be responsible for what has happened to you, consider speaking with the Amarillo car accident attorneys at Zinda Law Group. Our attorneys will fight tooth and nail to help you seek the compensation you deserve. If you or a loved one was involved in a car accident, it is important to contact a qualified Amarillo auto accident attorney. An attorney can evaluate your situation to determine if legal action is an option to hold the responsible party accountable. Call Zinda Law Group today at (800) 863-5312 to get a free consultation with one of our Amarillo car accident lawyers. Help is available 24/7 so call now to get the assistance and guidance you deserve. We look forward to helping you with your car accident case.